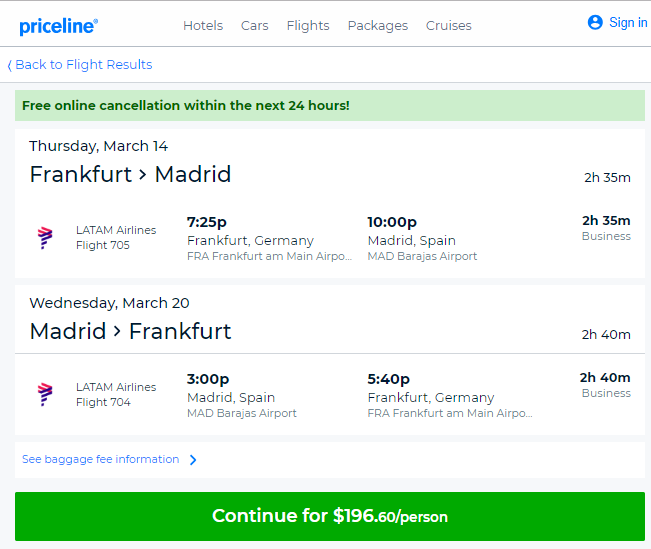 Today’s Airfare of the Day goes to LATAM and their midweek business class restricted round trip fares between Frankfurt and Madrid. 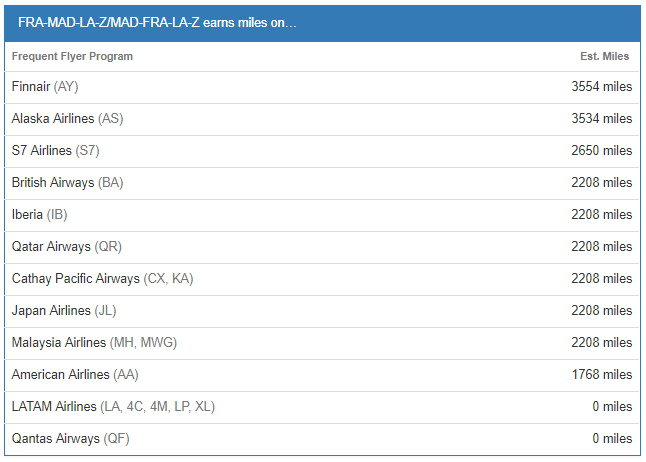 Fare: LATAM (LA) ZEXEV00V FRA to MAD. Price: from 173€ (110€ base fare + taxes & surcharges). Day/Time restrictions: permitted TUE through THU. Flight restrictions: travel between MAD and FRA must be on LA flights 704/705/708/709. Sales restrictions: tickets must be issued on LA. Changes: charge 60.00€ for reissue/revalidation. Charge 60.00€ for no-show. The following accruals were estimated using wheretocredit calculator for FRA-MAD travel on LA marketed and operated flights without considering any elite status bonuses or ongoing promotions.